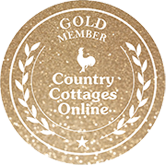 Welcome to Milk Wood Lodges with wood burner, private sauna, WiFi and Pet friendly accommodation. Please note - We are currently running a limited time discount of 10% off advertised/displayed prices, for any stays throughout the remainder of 2019. This discount applies to our standard bookings periods only, either with- or without-Hot Tub. We are also doing our standard 4 nights at the price of 3 nights, midweek Monday to Friday, except the Summer months where it is 4 nights for the price of 3.25 nights. Hot Tubs: Milk Wood's and Milk Wood Bach's Hot Tubs are fully operational, and prices displayed for these two cabins are with Hot Tub. Please note that we now do No Hot Tub rental prices that reduce the displayed price by averagely £182 on a week and £96 on a short break price for two. Note at this time Wnion Wood does not have a Hot Tub. Prices to the end of August for Wnion Wood reflect this. Once the Hot Tub is operational hopefully in mid-May, then prices through to end of August will change to reflect this. Please note we do not allow children under 8 years old to use the Hot Tub due to health & safety. Please see special pricing for this family group in the pricing sections. As featured in the Guardian’s “Britain’s Top 10 Cutest Log Cabins”, all Lodges are Dog Friendly Snowdonia retreats with private indoor Sauna, wood burner and WiFi. The cabins have been uniquely set up for romantic breaks for couples and families for holidays, with a home from home feel. The lodges are hidden in a clearing on the edge of the woods on the slopes of the Wnion Valley, within an exclusive small and very quiet complex of privately owned log cabin homes, and is not a holiday park. The lodges are of Scandinavian design and built to full modern residential standards, while maintaining that real log cabin feel. One note we have made over time is many guests remark that, one: the lodges are a lot larger than they thought, at 80 square meters+ and, two: the unexpected standard of fitments and comforts for a holiday lodge. Whether you seek the perfect unwind, or have a birthday, anniversary or just need that special break, the properties, the location and the wider area is ideal for couples or families, and will cater for your every need. All provide a tranquil space with ambient quietness, fresh air to breath and no light pollution; this is what visitors find so striking about the lodges and the area. The noise of the city is removed from one’s senses and a whole new world appears, with views of woodland, valleys and hills. It’s the ideal place to recapture serenity and recharge one’s batteries. All the lodges are designed for comfort and have the full range of modern equipment, free sat and WiFi, Sony TV and a rather good audio system, cooker, washing machine, tumble dryer, dish washer, microwave, and have a well equipped kitchen as well as a barbeque. The lodges are fully heated with full-length heavy drape curtains at all the windows, so they are cosy and warm all year round. Each lodge has an indoor wood burner, with logs provided at fair use of one basket per day. Bedrooms are comfy with good quality mattresses and linen. Original artworks by a local artist hang on the walls. There is a large round bench table in the garden. We welcome party makeups consisting of a couple, two couples, families or even extended family groups. For one couple: All three lodges are ideal for a couple and are romantic in nature. But our personal preferred for a couple would be (in order): Milk Wood Bach, Wnion Wood, and Milk Wood. Milk Wood Bach is specially designed for couples but also is the slightly more expensive property; if price is a concern then Wnion Wood is the option. For two couples: Wnion Wood is ideal, as the two bedrooms can be made up as super king and king. Milk Wood by structure is a king and two singles. Milk Wood Bach, in addition to the king bed in it's one bedroom, has a sofa bed in the rear of the front room; good for a young child to teen, however, the sofa bed is not good for two adults. For family groups: Milk Wood or Wnion Wood if your party is 3 to 4 people. Milk Wood Bach if party is 3; if children are young then call and we will advise. For an extended family group booking: Wnion Wood and Milk Wood are next door to each other for convenience, and Milk Wood has the large grass garden for kids to play in. Milk Wood Bach is some 70 meters away, but may be suitable as well. If you are a family of 5, then please contact us, as Wnion Wood's second Bedroom may be able to accommodate your party. Babies: Please note babies under 1 year old (or, that can sleep in a travel style cot) - we do not include in the party number and therefore are free of any charge. We supply a travel cot and baby high chair at each property. If you have twins then please call, you may need to bring your own cot. Please note also we do not supply cot bedding. Wnion Wood has a forest style, terraced rear garden area and no grass lawn, and is very private and rather lovely. The front room and kitchen overlook the wooded rear area, also giving a feeling of privacy. Milk Wood Bach has a large paved section right out the back, then a gate to the rear section of grass that leads to the decking area that overlooks a small pond and stream at the property's border. Front room overlooks the whole rear plot and is tranquil and private. Milk Wood has a large grass area all around it and an enclosed deck area to the rear of the cabin, with a private feel. The front room faces the quiet road. If you are a couple and the stay at home types and just want to chill out, all 3 properties will suit. If you’re a family and stay at home types, then Milk Wood or Milk Wood Bach gardens give the kids the space. If you are the always out seeing things type, then all 3 would be fine. Wnion Wood's back garden drops into terraced areas, and is wonderful for watching the nature of the woodland. Pet Owners or Guests with children - please see the Pet or Children sections for further guidance. Please see the above Properties tab for more information on each property's availability & prices, and to make a booking request. Please only use the below links to view our reviews, BUT PLEASE do not use that site for a booking request as you will end up getting a 15% booking fee added. As a note, there is never a booking fee when bookings are made directly through our website.